I was so disappointed by this Anthology that you could not believe it. Paul J. McAuley - The true History of Doctor Pretorius, a story similiar in many ways with the one of DR. Moreau. Norman Partridge - The bars on Satan Jailhouse, a text with some fantasy & thrilling things in the Wild Wild West. Lisa Tuttle - Food Man - a really creepy story about a girl who doesn`t eats and opens up a relantionship with the creature under her bead...very good ending & writing. 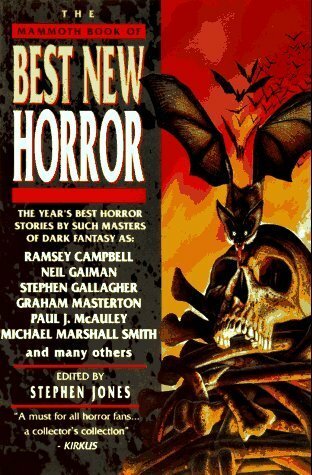 I get it that it`s a matter of tastes but some stories aren`t even really scary so what`s the point to be in this Anthology?! I DON`T REALLY GET IT! PS : Gaiman it`s present...but... with a POEM! Sign into Goodreads to see if any of your friends have read Best New Horror 7. 8.45% "The story that opens this Anthology, Tirkiluk by Ian R.MacLeod, doesn`t look like a horror one.\n \n It is a strange choice, this first one, to be here." 43.92% "Almost one half a book has gone and I still didn`t find any real SCARY story!\n \n It is a strange choice, this first one, to be here." 43.92% "Almost one half a book has gone and I still didn`t find any real SCARY story!"